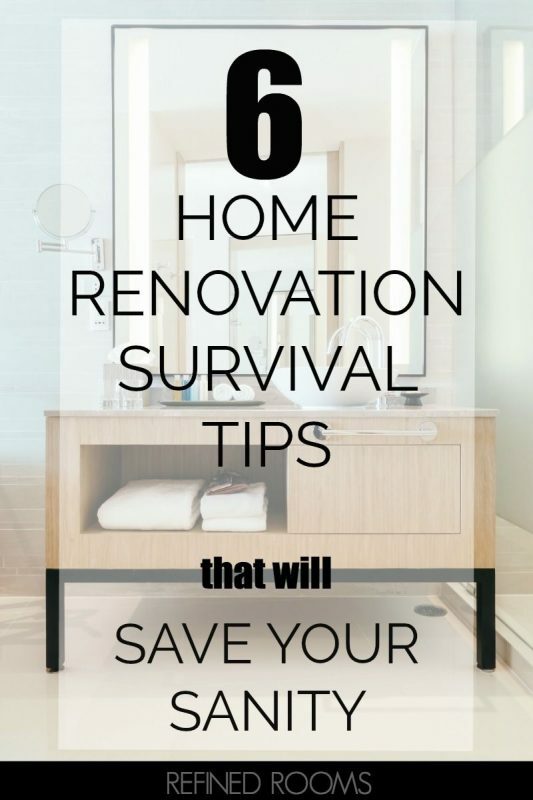 Home Renovation Survival Tips to Save Your Sanity! Today I’m sharing the wisdom of my dear friend Heidi, who recently completed an extensive home renovation project. Her family of four lived in their home during the renovation process, which brings with it certain…um…challenges. I asked Heidi to share her home renovation survival tips with all of us today. 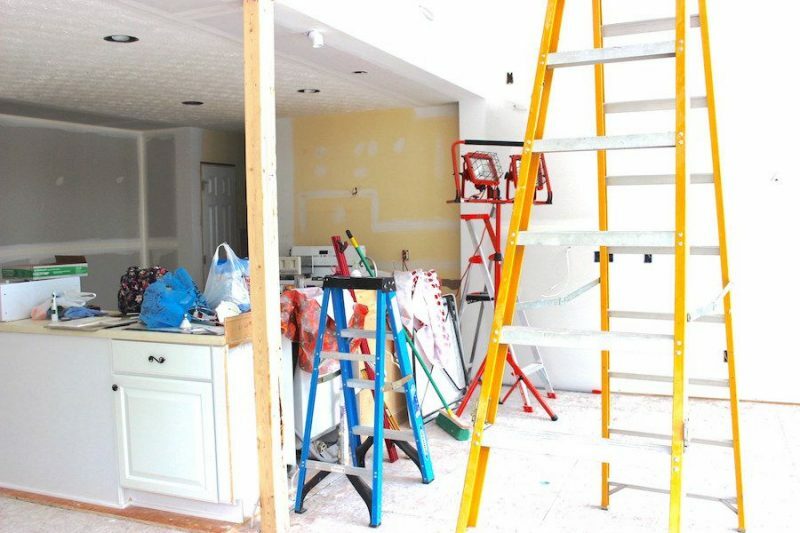 Got a home renovation project in your future? These tips are sure to save your sanity! If you are the type who likes everything “just so”, you will seriously need prepare yourself mentally for the temporary change in lifestyle that goes hand-in-hand with living in a “Renovation in Process” environment. You will need to adopt the mantra that “this too shall pass”, and regularly remind yourself that the end result will be worth it! 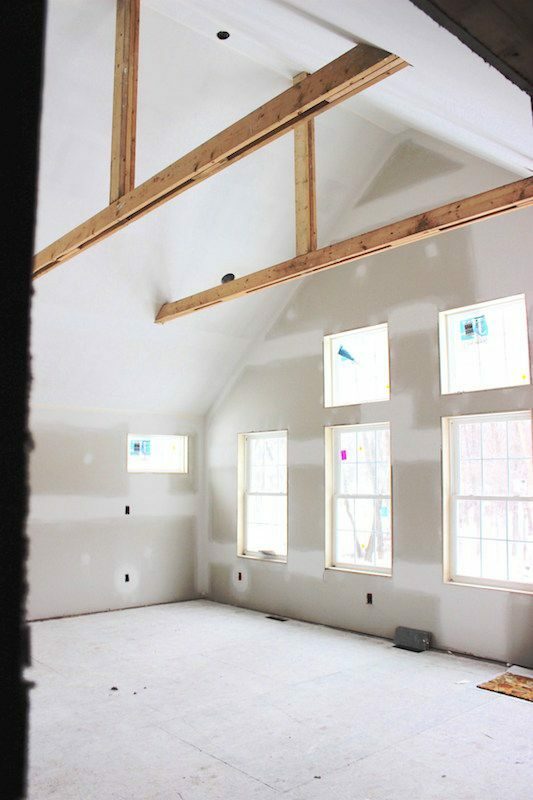 If your project involves drywall installation, carpentry work, or painting, there will be dust. Sawdust. Drywall dust. Paint spray dust…EVERYWHERE. The dust migrates all over the place; you will find it in just about every room of your home. Although construction dust is inevitable, there are things you can do to minimize it. 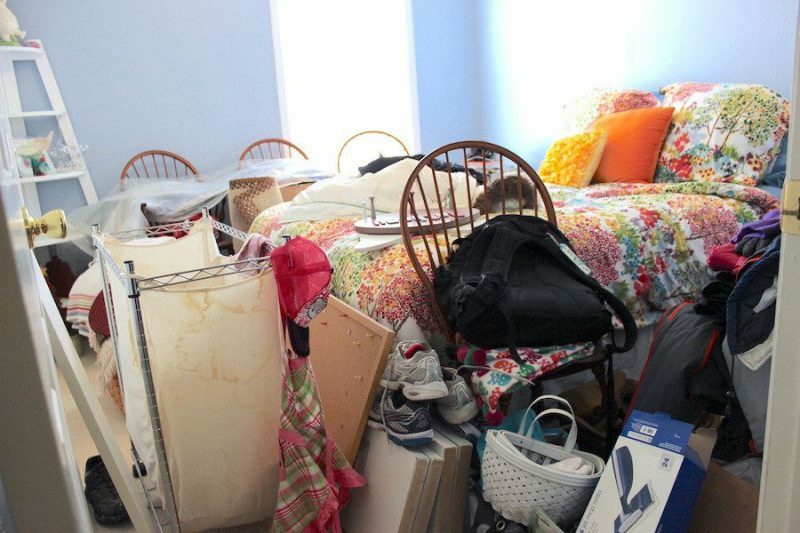 Heidi suggests packing away items that you will not need access to during the renovation process, in order to prevent them from being coated with construction dust. Also, consider investing in magnetic air vent covers to use in the areas of your home that are not being renovated. 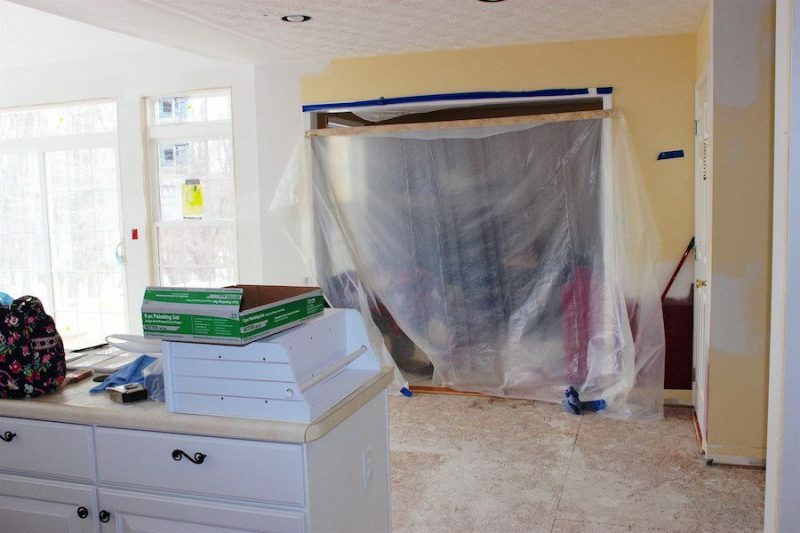 Another good practice is to seal the doorway between your living area and the renovation area via heavy-duty plastic drop cloths. Zipwall is relatively new product on the market for containing construction dust. Although Heidi’s contractors didn’t use Zipwall (nor have I at the time of this post), many DIY bloggers swear by it. Renovation projects require the removal of the “stuff” that typically lives in the space…furniture, appliances, home decor, etc. You will need a place in your home to serve as a temporary holding area for this stuff while the project is underway. Heidi was fortunate in that she had several areas available for this purpose…a large area in her basement, as well as a spare bedroom. If you don’t have room onsite for temporary storage, explore options such as relocating items to an offsite storage unit/family member’s home, or investing in an onsite temporary storage unit (e.g., PODS). You will be flexing your decision-making muscle on a daily basis when you undergo an extensive home renovation. 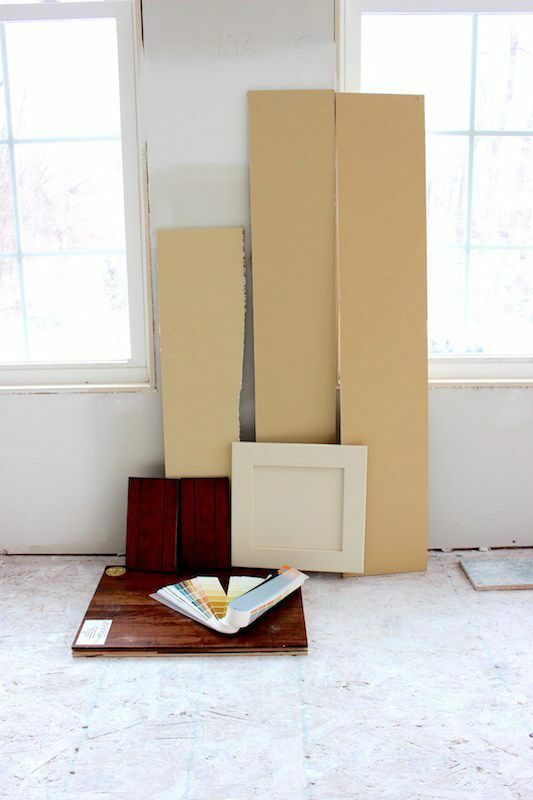 Paint colors, flooring, cabinetry, lighting and counter top selections…oh my! Selecting finishes can be a daunting process for the average homeowner. You will often be called upon to make decisions quickly so as not to hold up contractors. Begin your research as early as possible so that you are in a good position to make those critical decisions when it’s time to do so. If you lack confidence in the design department, enlist the assistance of a professional or a trusted friend who has a knack for design. 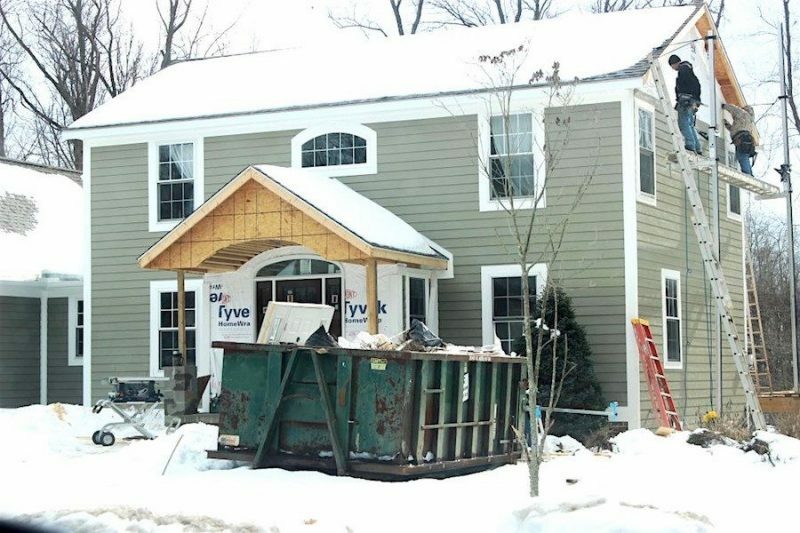 Be vigilant about ordering all materials necessary for your renovation as soon as possible. You never know when you will be faced with waiting for a backordered item that will prevent your project from moving forward. Once your project is at a standstill, the contractors move onto other projects, and it can be a painful process as you wait for them to incorporate your project back into their schedule. You might be tempted to take on certain aspects of the renovation yourself, in order to save some cash. It makes sense to invest your sweat equity if you have expertise in a particular skill like electrical, plumbing, or drywall. If you are not an expert, you may want to think twice about DIY-ing it. 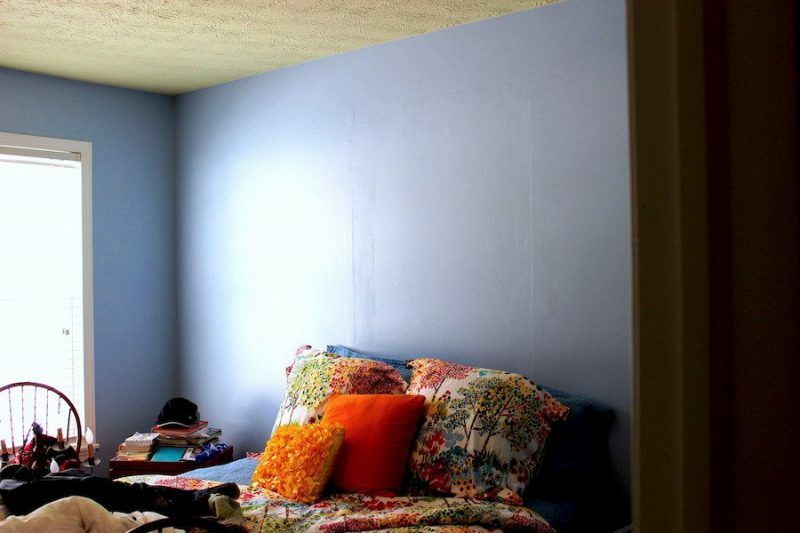 Heidi regrets their attempt at drywall patching (see below), and wished they would have left this piece of the project in the hands of the experts. 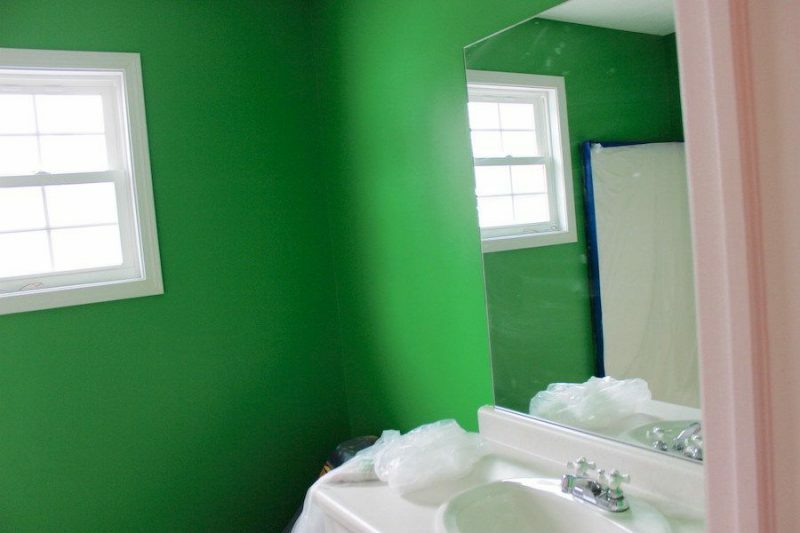 Heidi’s final word of advise to me was to avoid letting your kids make paint color selections, or you might just end up with Kermit The Frog green in the hall bathroom! Of course, I learned this lesson awhile back with my daughter’s room. So those are Heidi’s home renovation survival tips in a nutshell! Stay tuned for the reveal of Heidi’s new and improved abode! 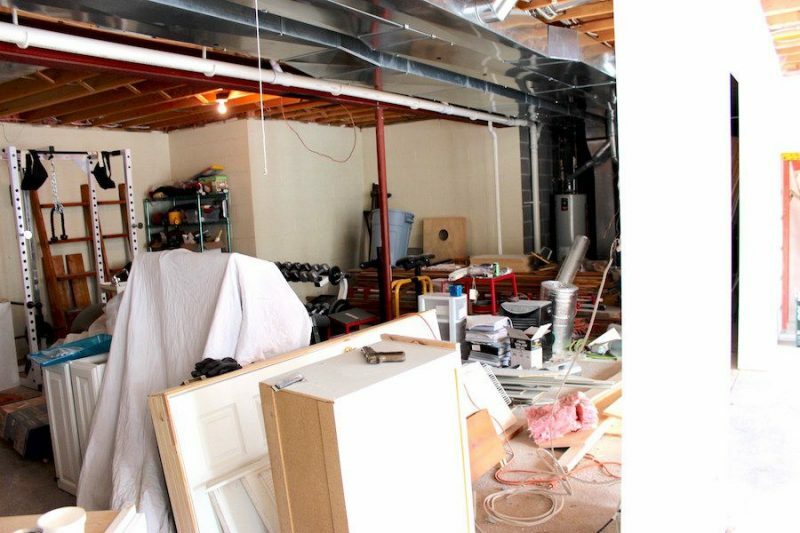 There are sooo many moving parts to keep track of during a home renovation project. It’s easy to get overwhelmed by all the details…deadlines, budget, and design decisions. Having a system to keep your project(s) organized is a must. Check out these tools for organizing your home renovation! I want to make sure that I get my home renovated nicely. It makes sense that I would want to consider hiring a professional to help! That seems like a good way to ensure that it’s done properly. It would also help save me from a lot of stress in the long run.